Rope : Black, braided, 1500mm long x 18mm diameter. One end is fixed to the pole. 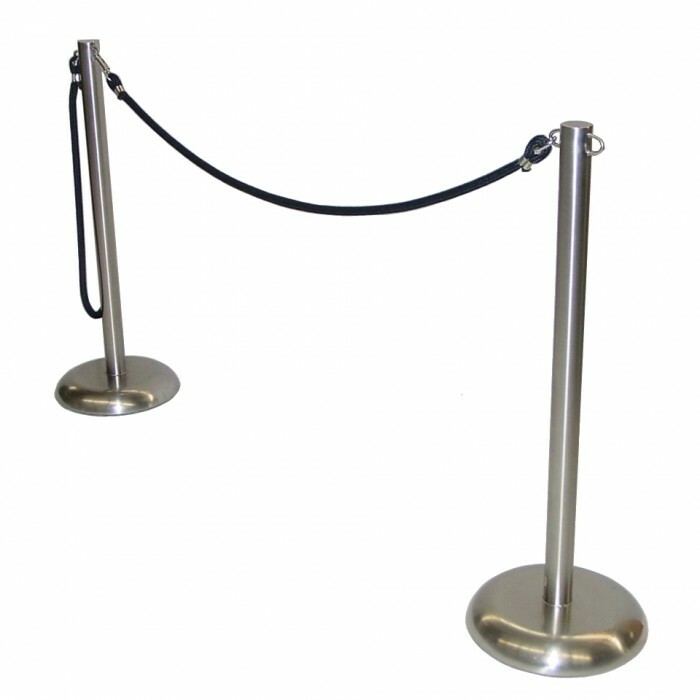 Stanchion : Pole - stainless steel, 900mm high. Base - stainless steel, 300mm diameter.